The Carolina and Springview Models from Screen Tight™ add traditional flavoring to the company’s lineup of doors. The new models were added in response to consumers’ growing design savvy, coupled with a demand for long-lasting, low-maintenance products, according to the company. Made of solid cellular vinyl, each patented Vinyl Screen Door offers the look and feel of wood with the easy maintenance characteristics of solid vinyl. Each door can be cut and trimmed like wood for proper installation, never needs painting and retains a sleek, dent-resistant finish where handprints and residue are easily wiped clean. “Wood has drawbacks since it must be painted or coated repeatedly to protect it from the elements,” said Guerry Green, President of Screen Tight. “If made of less expensive wood, such as pine, it may split or warp and it may be attacked by mold and fungus. Our goal was to build a better, more affordable, long-lasting screen door. With its line of screen doors, Screen Tight appeals to all tastes and was designed for easy installation and low maintenance. Formed over 20 years ago, Screen Tight™ is well recognized as the leading innovator in the outdoor screen industry. 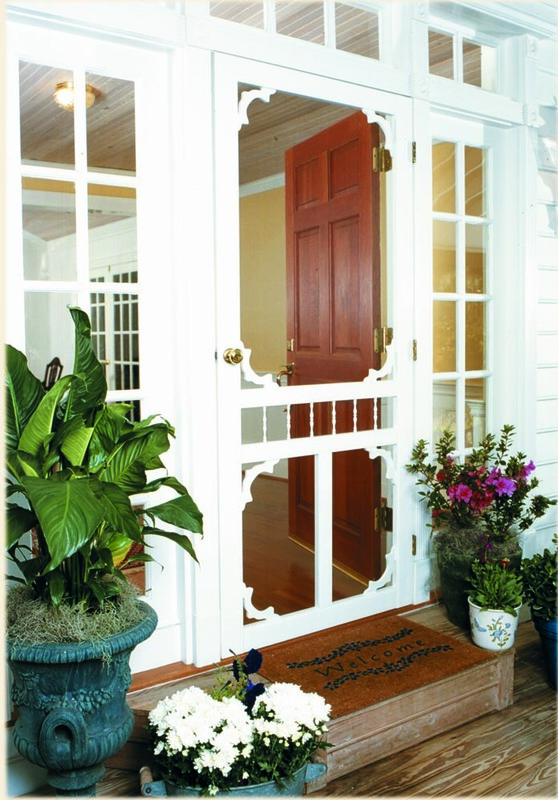 The company re-invented the method of attaching screens for outdoor areas such as porches and redefined the screen door market by inventing and introducing its patented solid vinyl screen door. Beside Screen Doors, Screen Tight™ offers the FAST Track™ Aluminum Screen Porch Screening System for first floor or ground applications, a new MINI Track™ Porch Screening System for high elevations and second story applications and its original system that accommodates openings up to 40 sq ft.
Screen Tight™ also offers a patented Wrap N’ Snap™ Column Wrap to dress up structural columns, solid foam PVC. Products are sold in the U. S. and Canada mainly through hardware, home center and building supply retailers.